A new state imposed fee is now being applied to Radon Mitigation Systems installed. 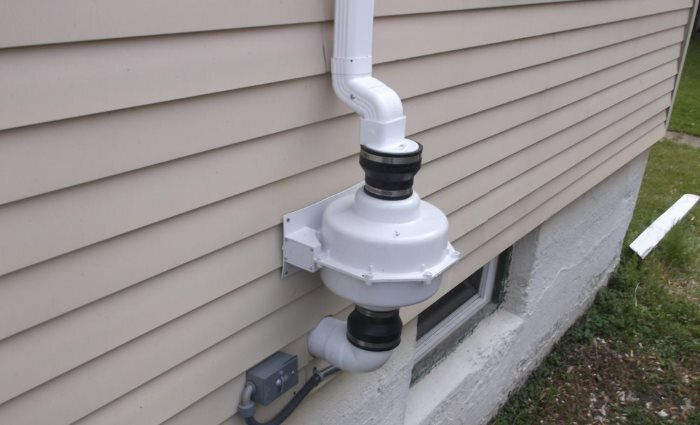 Due to the seriousness of health effects linked to Radon exposure, many homeowners are installing Radon Mitigation Systems in order to remove this odorless, colorless, and tasteless gas from their homes. Recognizing these health concerns, the Pennsylvania DEP has put in place an aggressive marketing campaign to increase awareness of this potential hazard and to encourage homeowners and home buyers to have testing performed. In accordance with the PA DEP's efforts and activities, effective October 21, 2017, they have instituted a $ 50.00 fee that will be applied to every Radon Mitigation System installed or activated. Accordingly, effective October 21, 2017, all Radon Mitigation Systems installed will reflect this additional $ 50.00 fee. The mitigation company is required to collect that fee as part of their billing and then remit it to the PA DEP. This fee should be reflected as a separate line item within the radon mitigation proposal. Disaster Blaster is proud to be the preferred choice in Radon Mitigation for the Northeastern PA area and is committed to professional and effective solutions across all of our service offerings. We appreciate the confidence our customers in Northeastern PA have in us and look forward to continuing to provide the area with exceptional Radon Mitigation Services. Should you have a higher than acceptable Radon level in your home or one you are in the process of purchasing, please do not hesitate to Contact Us!